I love pictures! Especially vacation pictures. It’s so fun to look back on fun memories of special times. 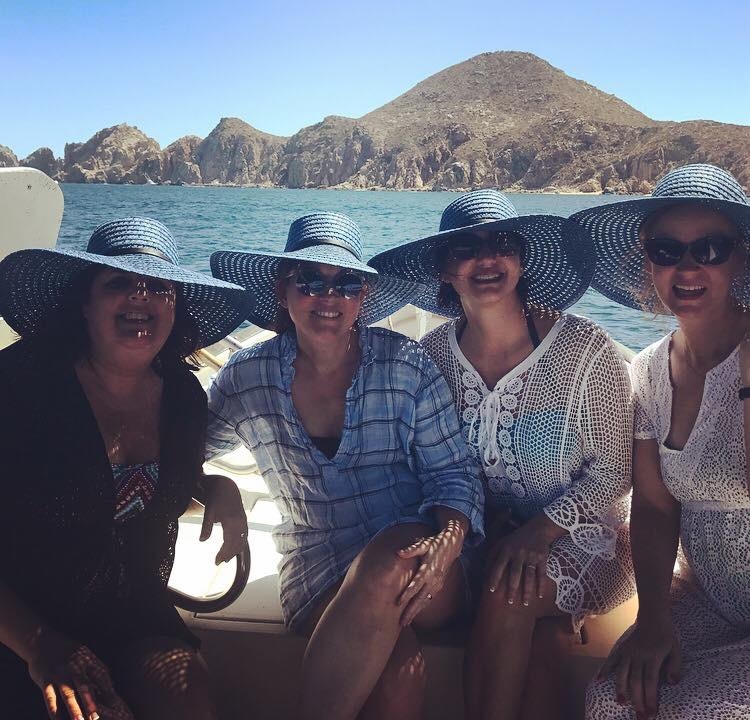 About a month ago I travelled to Cabo with three friends I met at Baylor. All four of us turn 50 this year and we felt like we should commentate the fact that we’ve lived for HALF A CENTURY. That’s a big deal! 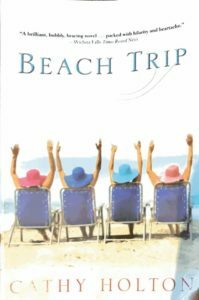 I wanted a book for the trip and when I saw one called “beach trip” I bought it. It had a cute cover and well, I was going on a beach trip so it seemed to fit the bill. I also wanted to bring a “party favor” for our trip. While I was out shopping one day I found some cute beach hats. They weren’t all different colors like the ones on the cover of my book but I still thought we could recreate the book cover picture as a momento of our trip. I gave my friends the hats at the airport in Dallas and we took pictures in them there. Then we took pictures in them by the side of the pool and in the pool. We took pictures in them on the beach and in a boat. 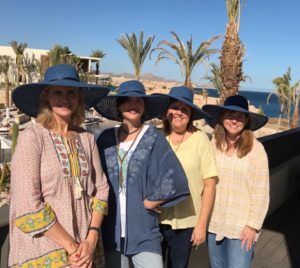 I’m pretty sure we became known as “the blue hat society”. Early one morning we decided to try and recreate the “arms in the air” picture from my book cover. It really shouldn’t have been hard but there were several things to consider … one being that it hurt sitting on those beach rocks. We finally thought we had enough shots and we headed off to the pool. Later in the pool we did an “arms in the air” pic and another afternoon we tried the shot from a different angle on the beach. 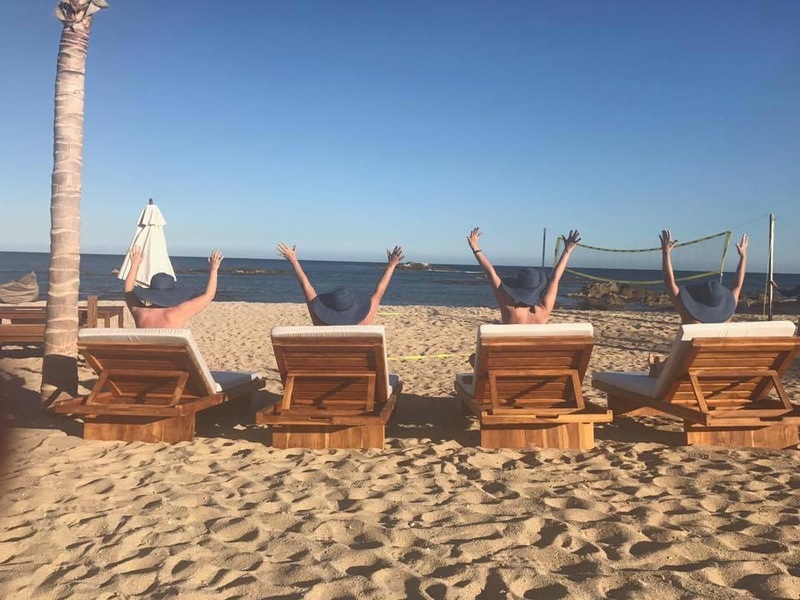 The most hysterical thing is that one friend (you can look at the picture and decide for yourself which one you think it is) wasn’t exactly comfortable with putting her arms in the air. I mean she held them up … but it was definitely not her favorite part of the trip. She probably felt we were taking too many pictures and ESPECIALLY ones with our arms on the air. 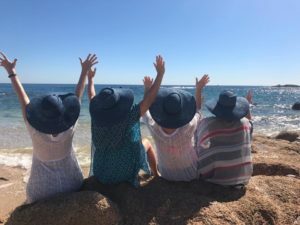 It wasn’t until I got home and looked back at the pictures more closely that it hit me just how symbolic it was to have pictures with close friends with our arms held in the air. You see, we have been “arm holders” for each other for a long time. There is a story in Exodus 17 where the Israelites were in a battle with the Amalekites. Moses said he was going to go stand on the top of a hill with the staff of God held high during the battle. The next day Joshua went to fight the battle and Moses and two friends went and stood on the top of the hill. As long as Moses held his hands up the Israelites continued to win but when he would put his arms down the Amalekites would begin to win. Moses’ arms grew tired. They began to ache. He was weary of holding the staff alone. But he didn’t want the Israelites to lose the battle. So his friends, Aaron and Hur, held his arms up – one on one side and one on the other “so that his hands remained steady until sunset” (Exodlus 17:12). The Israelites won the battle that day because some friends stood alongside another and held up his hands. 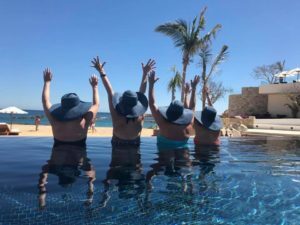 As I looked through the picture from Cabo of us holding up our arms I knew … that is what we had been doing for each other for over twenty years. One of those friends (it’s the one who didn’t love holding up her arms, haha) introduced me to my husband. Another of those friends came over and cooked him dinner and when he arrived to eat she went down the back staircase and let me act like I had made it for him. Another I hugged on the night she got engaged never dreaming that two years later we’d live in the same apartment complex as newlyweds trying to figure marriage out. We’ve been through boyfriends, weddings, babies, children growing, parents aging … big things and small. Each year for as long as I can remember we’ve gone away to a place called Hilltop (we call ourselves the “hilltop honeys”) and we talk. We really only break to sleep a few hours before we start talking again. We try and cover all that life has brought us in the past year. We have celebrated and we’ve cried. We’ve cheered and we’ve comforted. It’s been a sacred space for each of us. So, quite literally, we have held up each others arms at various times along the way. Sometimes texts among us only say “please pray, I’ll tell you why later” … but that’s all they need to say. Because arm holding is what we do. We might not always be able to fix the problem, but we can hold up each other’s arms for awhile … until sunset if need be. We truly want each other to win the battles .. or at least survive them. 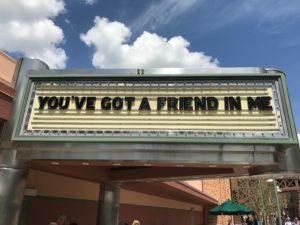 Life can be hard and unfair but knowing there are friends who will come alongside and hold up our arms and say “we’re here as long as you need us” makes us more courageous as we face the day in front of us. I will forever be grateful for the gift of friendship. The Lord has given me a double portion, I know. I have some hometown arm holders who I know beyond a shadow of a doubt would all pile in a car and head to Houston if I told them I was having trouble holding up my arms. They might even drive all night to get here. One friend sent our group text this picture yesterday … and I love it. Certainly there are some Houston arm holders too. Some have moved away but if I called them today, they’d hold my arms up for awhile … and I’d do the same for them. Arm holders don’t have to be people we’ve known forever either. They might be new friends or friends you only thought were acquaintances … but in the battle they came along side you in an unforgettable way. Here’s the thing … we can all be arm holders and we all need arm holders. Being an arm holder might be sending a text saying you are thinking of someone or calling someone you haven’t heard from in awhile. It might be driving someone to chemo or taking a meal to a friend going through a difficult time. Arm holders come out of the woodwork when big things happen but we should also be mindful to be arm holders in the day to day of life. That daily load can get heavy too. Maybe thank someone today for being an arm holder for you or if you need an arm holder let someone know. And for sure go offer to hold up someone’s arms that you think might need some encouragement. Do it today. Looking back I’m glad we took so many “blue hat, arms up” pictures. It doesn’t matter to me that people probably thought we were crazy. What matters to me is that I’ve got some arm holders… And we will be there for each other until the sun sets. How true this is and how valuable these friendships are in our lives! Love this insight! Love it! Well said. And it looks like fun, too. I love this, that’s all I need to say! !